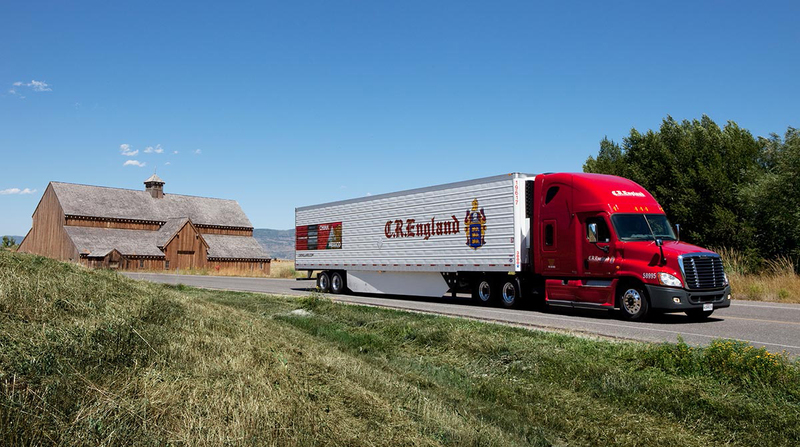 “This multi-million dollar investment in our drivers better positions us to attract not only those who come to us for training and are new to the industry but seasoned and experienced drivers who want a proven career path,” CEO Chad England said. The increases will range from 5.3% to as much as 25% for drivers depending on their tenure and position in the driving ranks, said Brandon Harrison, chief sales officer of the Salt Lake City-based carrier. The company categorizes staff in the driving position as solo drivers, team drivers, trainers and apprenticeship. “Many will be raising their pay 25%,” Harrison said. The actual raises drivers receive will come in the form of a rate-per-mile increase but C.R. England is not releasing specifics. The raise takes effect May 31. Harrison said the firm also is investing in drivers through improvements in its facilities and in technology, such as mobile apps. Company facilities will be made more comfortable and offer more amenities, while the smartphone apps will allow drivers to check for loads and jobs, and view their pay and other business-related information. The company decided on many of the improvements after garnering input from its drivers through surveys and in-person meetings, Harrison said. C.R. England ranks No. 26 on the Transport Topics Top 100 list of the largest for-hire carriers in North America. Pay increases have been announced at a steady pace this year as the industry struggles with a driver shortage. More than 60% of carriers said they have increased their cents-per-mile pay, more than 50% have implemented performance bonuses and about 11% are guaranteeing a weekly wage, according to the quarterly Trends in Truckload Recruitment and Retention survey from background screening services provider Driver iQ. Less than 10% said they had not raised compensation. In May, Ozark Motor Lines said it would pay its drivers with five years or more of experience up to 48 cents-per-mile and its drivers with less than one year of experience 41 cents per-mile. And Arlington, Wash.-based Smokey Point Distributing, a division of Daseke, said it would introduce on June 1 a guaranteed annual salary of $65,000 to qualified solo over-the-road drivers with flatbed experience.